In the nonfiction tradition of John Berendt's Midnight in the Garden of Good and Evil and Erik Larson's The Devil in the White City, Douglas Preston presents a gripping account of crime and punishment in the lush hills surrounding Florence, Italy. This is the true story of their search for--and identification of--the man they believe committed the crimes, and their chilling interview with him. And then, in a strange twist of fate, Preston and Spezi themselves become targets of the police investigation. Preston has his phone tapped, is interrogated, and told to leave the country. 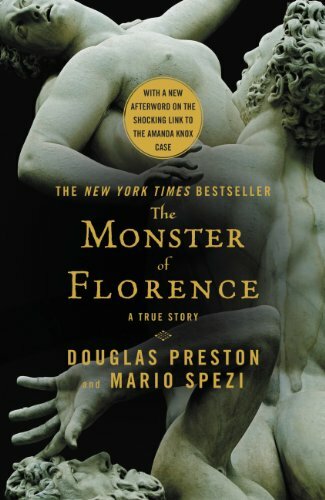 Spezi fares worse: he is thrown into Italy's grim Capanne prison, accused of being the Monster of Florence himself. Like one of Preston's thrillers, The Monster of Florence, tells a remarkable and harrowing story involving murder, mutilation, and suicide-and at the center of it, Preston and Spezi, caught in a bizarre prosecutorial vendetta.